I didn’t find any historical portrait of Publius Petronius Turpilianus. So I had to do my own interpretation. 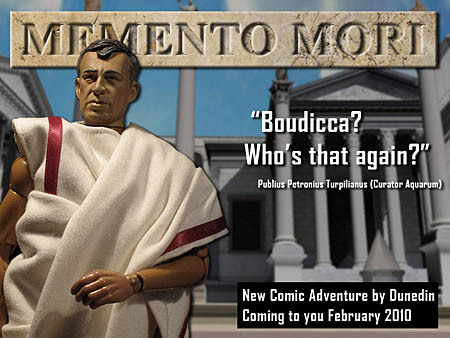 I took the Ariel Sharon figure from Soldier Story, a man in the right age for the Turpilianus character. For my Vespasian I choose the Tony Soprano head, sculptured by Chan Ada. Have a look at the Vespasian busts from the time he was the roman emperor. 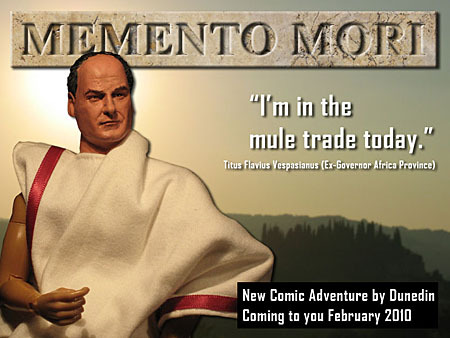 I think Tony Soprano makes a good version of the younger Vespasian. A new addition to the props department. Here’s my palanquin. For the main construction I used balsa wood and some dollhouse equipment as well. 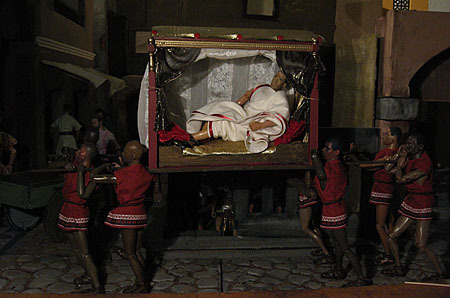 The palanquin is carried by eight Nubian slaves. They will take part in the upcoming comic adventure. And I found some jewels for my patrician ladies. 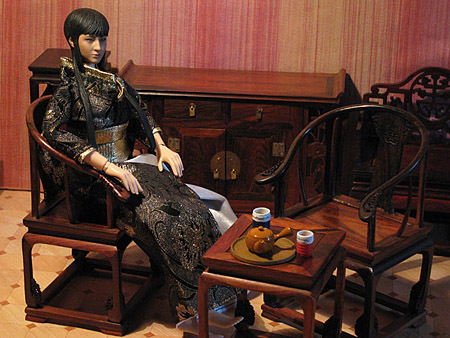 When I saw this Ming-style chinese furniture, I couldn’t resist. Here are some quick shots. 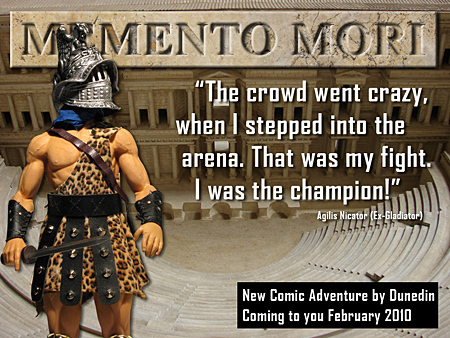 Here is the third Memento Mori Teaser. I found the helmet in a souvenir shop in Rome. That was good luck, to find a beautiful gladiator helmet matching the 1/6 scale. All I had to do was a repaint. At the moment I focus on writing the story. The next step will be the work on additional props and locations. You are currently browsing the about my work blog archives for November, 2009.